Yes. Yes. 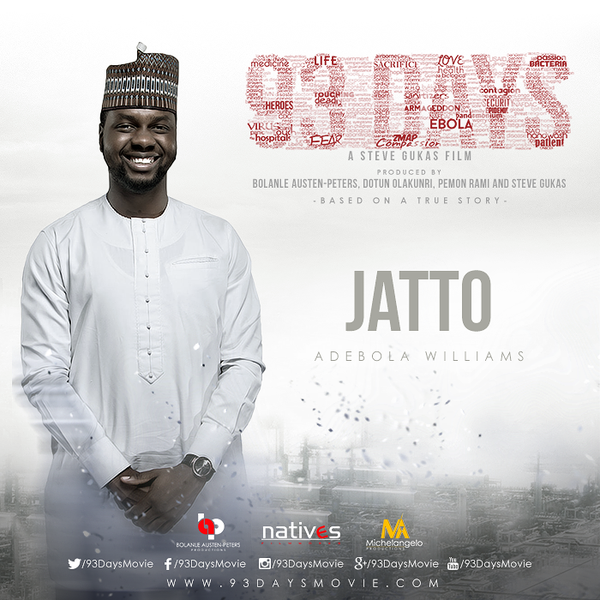 It happened in your lifetime; a Nigerian movie capturing very gripping moments in recent Nigerian history is ready. 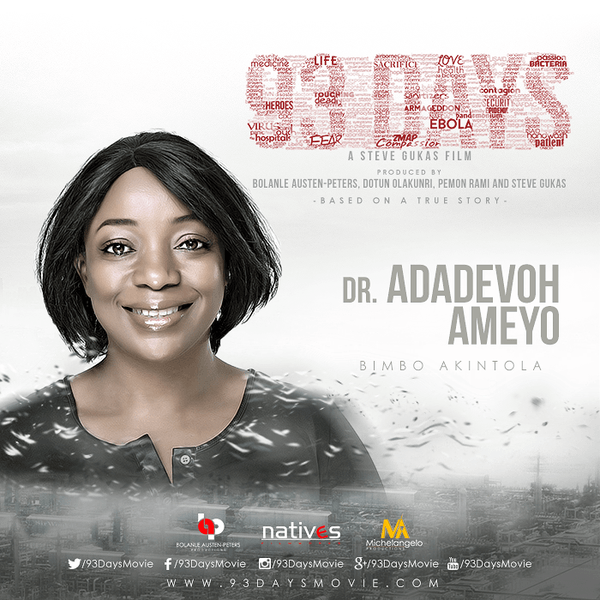 93 Days, the movie we’ve been waiting for (for longer than 93 days), captures the events that unfolded in the lives of the people at the frontline of Nigeria’s battle with the ruthless Ebola virus. These people in the story were there, ever ready to send it back to virus hell. The first point of call is the First Consultant Hospital, where he is admitted with fever like symptoms. Against his denials of contact with any Ebola victim in Liberia, the team at first consultant led by Dr. Ameyo Adadevoh quickly deduce there is more to his case than malaria. 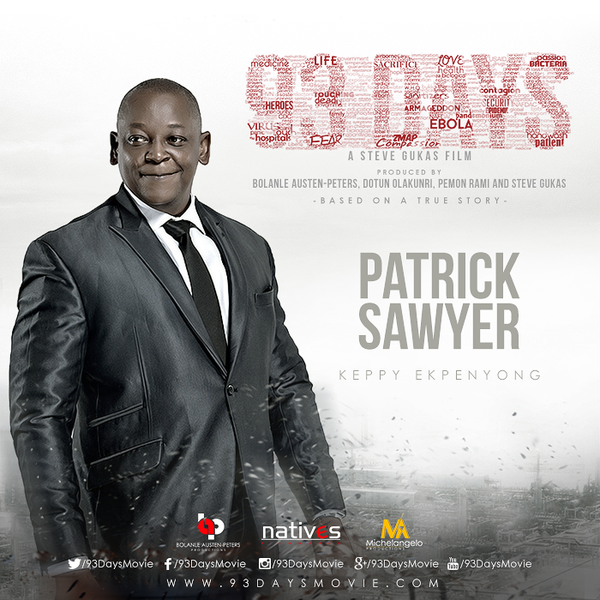 Their vigilance leads to an early detection that Mr Sawyer indeed had the Ebola Virus disease. Now it’s a race against time to contain a deadly disease from breaking out and infecting an entire city population and beginning what could be the biggest deadly disease outbreak the world has ever known. Over a 93-day period from when Sawyer comes in men and women from Nigeria, WHO and MSF do battle with this deadly disease. 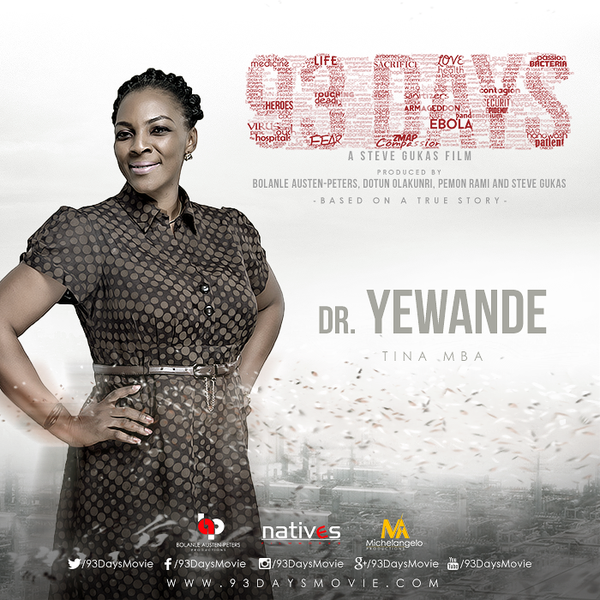 At its core, 93 Days is a compelling human story of dedication, sacrifice. But why are we even hyped about the movie? There’s the senior Tina Mba. The legendary Kayode Olaiya of Yoruba screen glory. 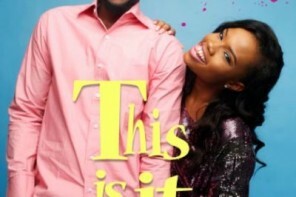 There’s the I-do-PR-but-I-can-also-act-feem Adebola Williams. 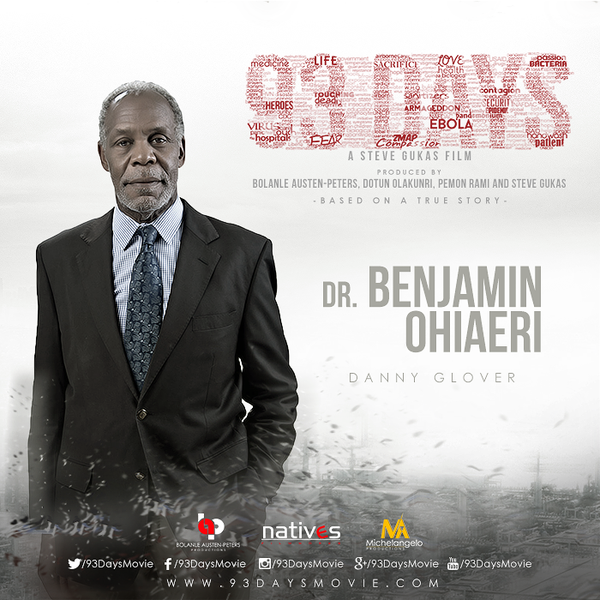 There’s even this Hollywood guy that is almost always a policeman on screen, but is now finally a doctor, Danny Glover. 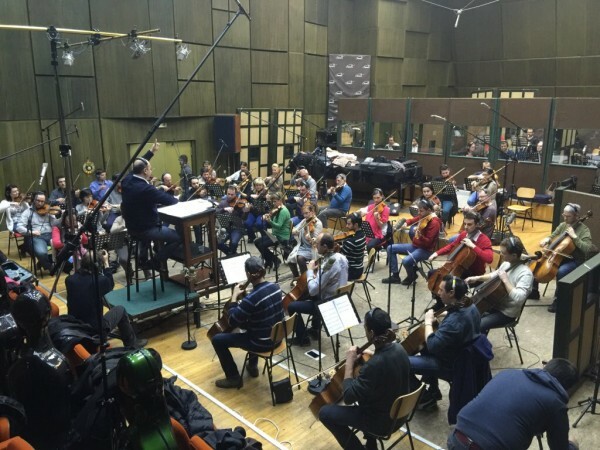 Did we mention that a Nigerian song finally has a brain-bursting original score? Yep. A 90-piece set, made solely for this movie. If there’s one thing we are sure of, it is that this movie will win many things, touch many hearts, and mostly importantly, inspire people to become fall in line for service to humanity. 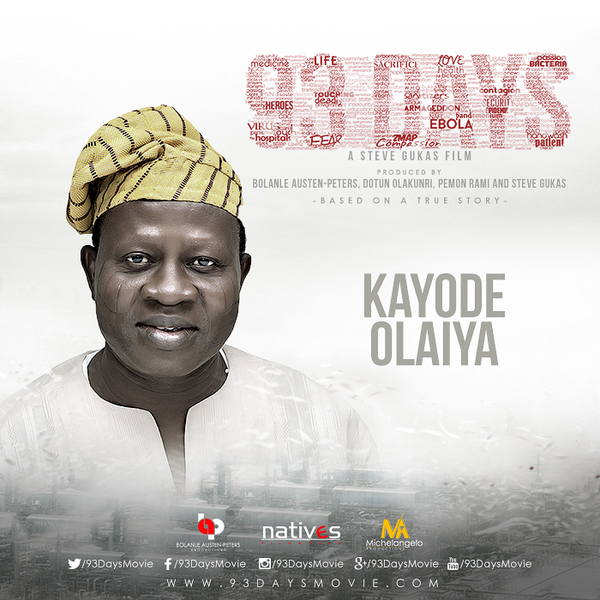 93 Days is hitting cinemas September 16, and yes, our hearts are ready. It was well worth the wait for this exceptional film. The true story of the 93 days and the dedication of the teams trying to wok together. 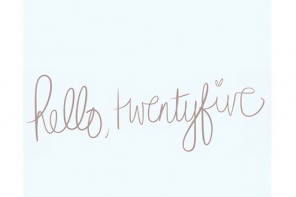 I’m a sociology student. I loved my anthopology studies, all of which related to the medical field and cultural differences that some forces allowed to hamper the progress of stopping Ebola. Powerful story brought to film. Thank you African Anerican producer, Pemon Rami and Mesequa.